Introducing pricemole.io. Spy on your competitors, watch their prices and automate your response. PriceMole is an intelligent competitor price tracking platform for ecommerce businesses of all sizes around the world. With a user friendly dashboard, updates up to 24x a day (or even real-time tracking if you prefer), live e-mail alerts and amazing support, PriceMole frees up your valuable time and watches your competitors for you. All of this is offered at affordable prices for professional, business and enterprise users. The Starter pack is free, for an unlimited time, no credit card required. We are currently tracking 50 of the top online retailers. 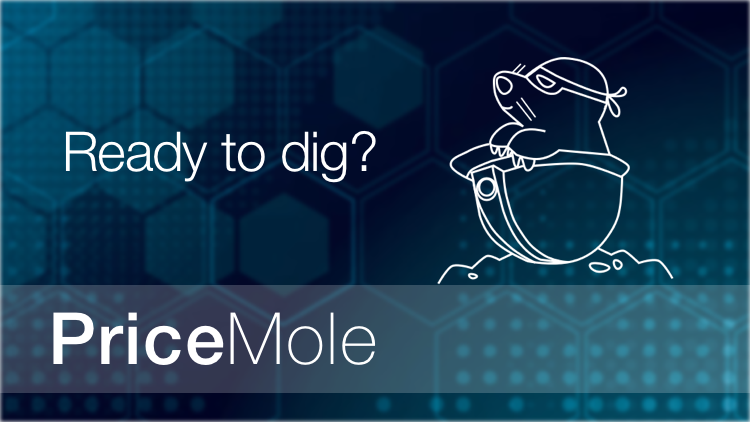 Try PriceMole Beta today, and let us know who should be added to the list! PriceMole let’s you add your products along with your competitors' URLs to your dashboard and locates the right price for you. Create your own pricing strategy and notification settings. That is all there is too it! PriceMole will watch your competitors' prices and alert you if they rise or fall according to your thresholds. You can then get insights into your competition and their pricing strategies with PriceMole analytics. To learn more about the Product, or to book a free demo, check out PriceMole or Contact us.